It’s been 2 years since I posted on AIG and it has been an eventful 2 years. A new management team (again) has been installed, led by industry veteran Brian Duperreault, to try to turn this stubborn ship around. The results, as below, show the scale of the task. Reduced investment returns, reducing legacy and asset balances, and poor reinsurance protections are just a few of the reasons behind the results, in addition to the obvious poor underwriting results. 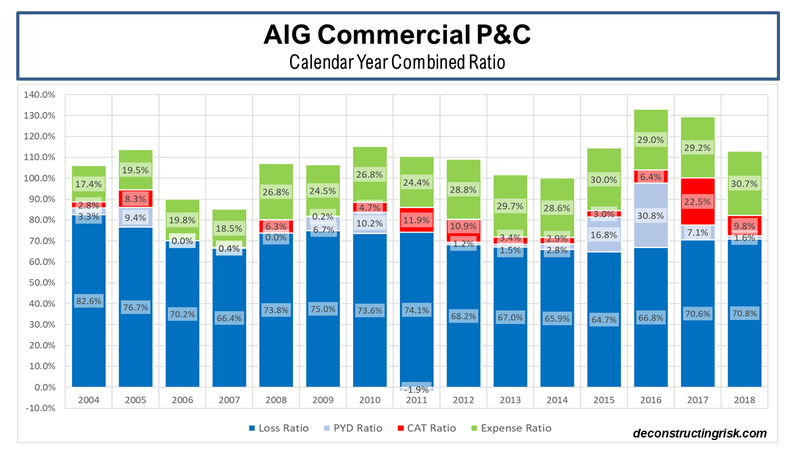 Oversize risks from the previous Go Large strategy have been disastrous for both the catastrophic losses and reserve strengthening on the commercial P&C business, as the results below show. Duperreault and his team have been busy working on refocusing the underwriting philosophy, modernizing systems and analytics, bringing in talent (including buying Validus), redesigning reinsurance protections and reshaping the portfolio. 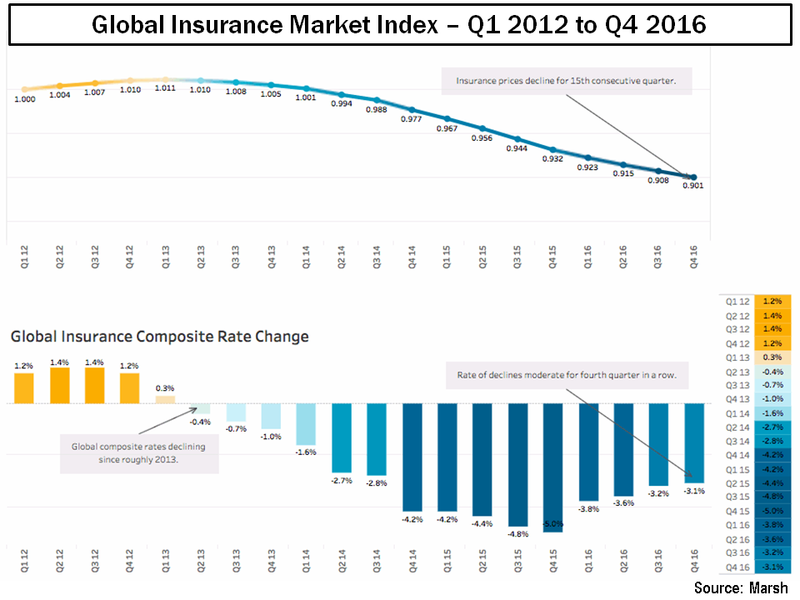 In their latest quarterly call, the new management team is boldly predicting an underwriting profit on the general insurance business (commercial and consumer) in 2019, assuming a catastrophe load of less than 5% and reductions in loss and expense ratios, which will require a +10% improvement in the 2018 result. In a sector where competitors have long since evolved (some use AI to optimise their portfolios and returns) and the alchemy of low return capital providers is ever present, they have set themselves an aggressive target. Given the current share price just below $42, its trading around 76% of the adjusted book value. If all things go well, and some recent headwinds (e.g. reserve strengthening) are tamed, I can see how a pre-tax income target of $3.5 billion to $4 billion and an adjusted income diluted EPS of $4.00 to $4.50 is achievable. These targets are roughly where analysts are for 2019, returning to EPS results achieved over 5 years ago. I concur on the targets but think the time-frame may be optimistic, another year of clean-up looks more likely. It will be interesting to see how the year progresses. Oh AIG, where art thou? 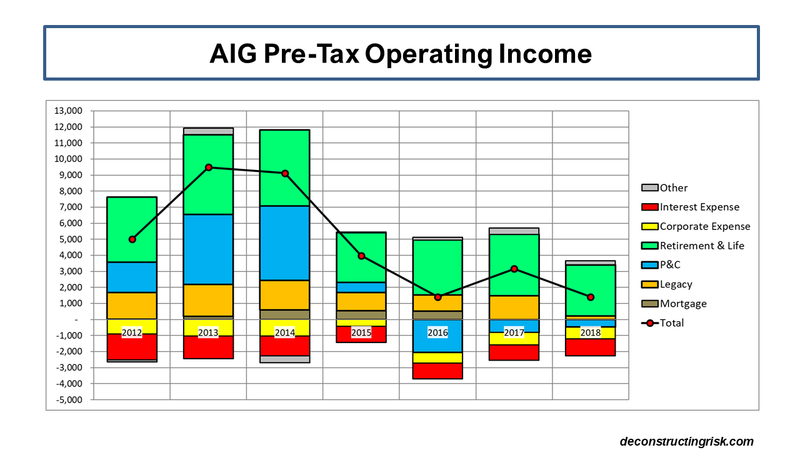 In my last post on AIG, I expressed my doubts about the P&C targets outlined in their plan. 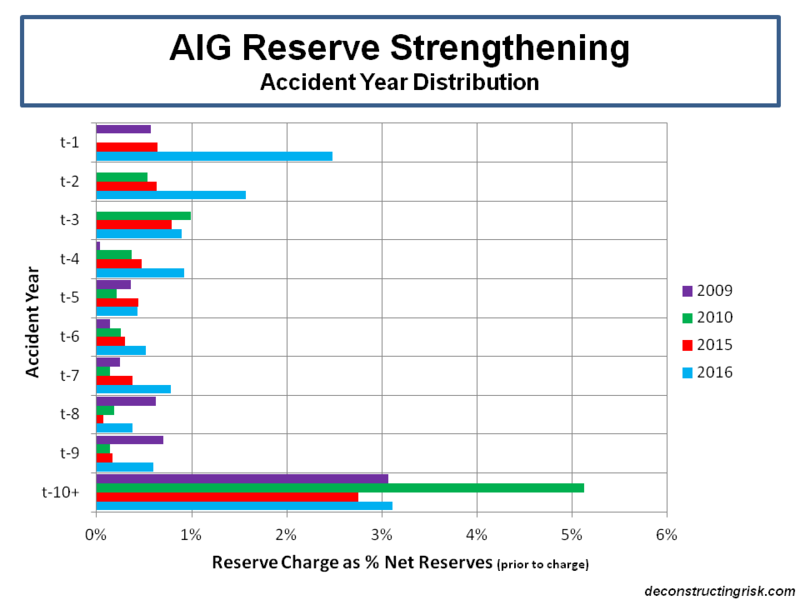 After first announcing a $20 billion retroactive reinsurance deal with Berkshire covering long tail commercial P&C reserves for accident years prior to 2015 in January, AIG just announced another large commercial lines reserve charge of $5.6 billion principally from their US business. The graph below shows the impact upon their 2016 pre-tax operating income. The latest reserve hit amounts to 12% of net commercial reserves at end Q3 2016 and compares to 7%, 8% and 6% for previous 2015, 2010, and 2009 commercial reserve charges. Whereas previously reserve strengthening related primarily to excess casualty and workers compensation (WC) business (plus an asbestos charge in 2010), this charge also covers primary casualty and WC business. The accident year vintage of the releases is also worryingly immature, as the graph below shows. After the 2016 charge, AIG have approx $7 billion of cover left on the Berkshire coverage. 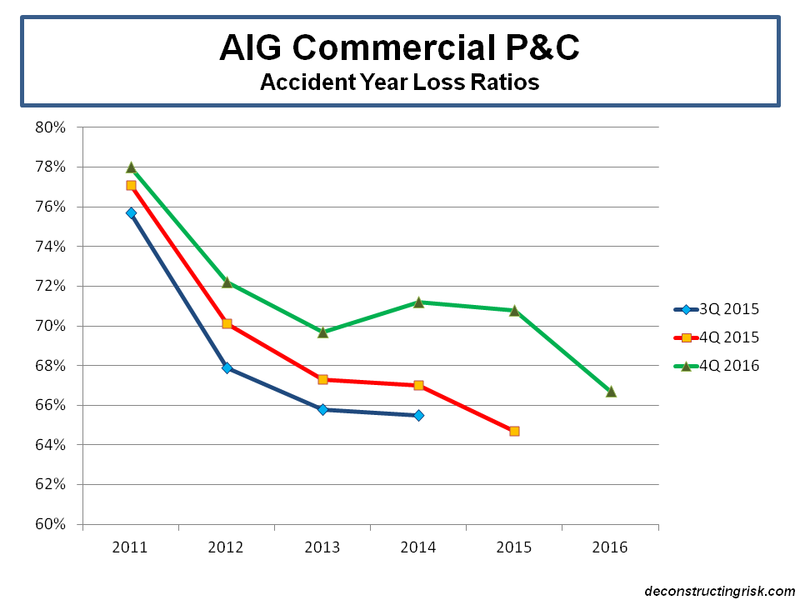 Although AIG have yet again made adjustments to business classifications, the graph below shows near enough the development of the accident year loss ratios on the commercial book over recent times. 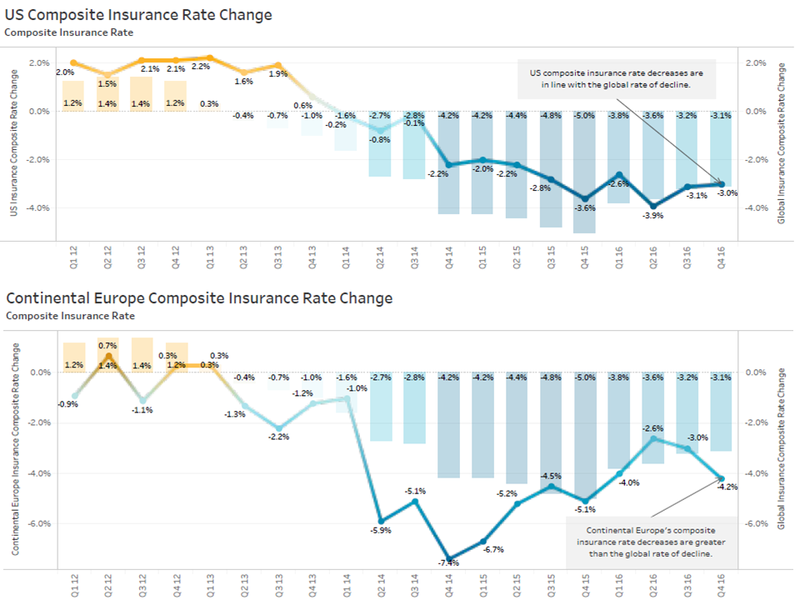 It is understandable that AIG missed their aggressive target against the pricing background of the past few years as illustrated by the latest Marsh report, as the exhibits below on global commercial rates and the US and European subsets show. All of these factors would make me very skeptical on the targeted 62% exit run rate for the 2017 accident year loss ratio on the commercial book. 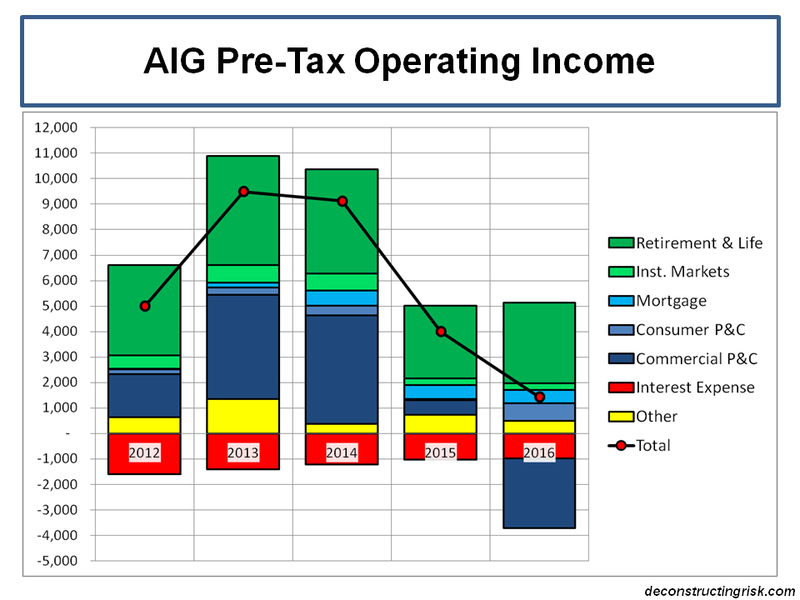 And no big reinsurance deal with Berkshire (or with Swiss Re for that matter) or $5 billion of share buybacks (AIG shares outstanding is down nearly a third since the beginning of 2014 due to buybacks whilst the share price is up roughly 25% over that period), can impact the reality which AIG has now to achieve. No small ask. 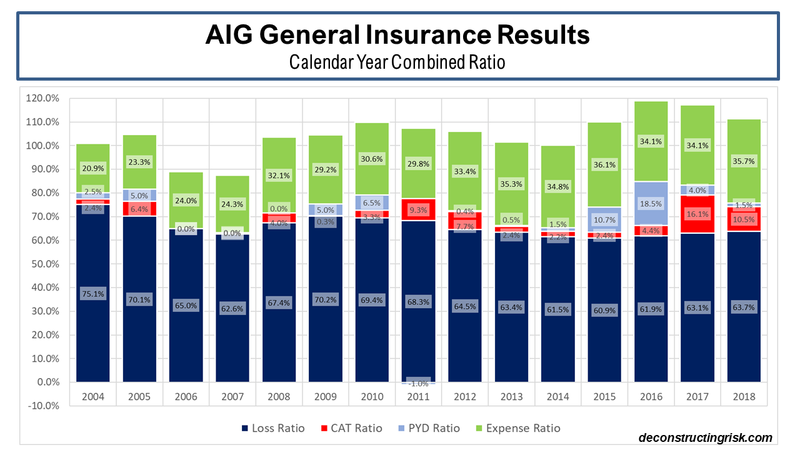 Some may argue that AIG have kitchen-sinked the reserves to make the target of accident year loss ratios in the low 60’s more achievable. I hope for the firm’s sake that turns out to be true (against the odds). The alternative may be more disposals of profitable (life) businesses, possibly eventually leading to a sale of the rump and maybe the disappearance of AIG altogether.